Lisa is a wonderful trainer. She has a very natural way with dogs, and my pup just loves her. She is very easy to schedule, and isn't rigid about the length of classes. We enjoy working with her. When we adopted Murphy from a rescue organization when he was 3 months old, I had no idea how overwhelming it would be having a new puppy with a 5 and 3 year old at home. Lisa understood that we needed someone who would not only work with me and Murphy but with my children as well. She worked around our schedule, met us at the park, at the veterinarian's office, anywhere that was particularly challenging with Murphy. She gave us great options for everything from treats and games to appropriate leashes and collars. She is so comfortable with dogs and Murphy loves her! Most importantly Lisa gave me the confidence to work with Murphy and create some harmony in our household. She is truly the best and I would highly recommend her!! We adopted two dogs, a brother and sister, without being able to meet them first. They were about a year old. They came to us scared of everything. They had submissive urinating issues really pretty badly. They had no manners or basic command training at all. These dogs were also fearful of everyone they met. But we fell in love with them and seeing their good hearts were committed to them. We arranged an evaluation of the dogs by Lisa. The night she came in, after just a few minutes she sat on their floor with them and the dogs loved her from the start. She had them sitting for treats before she left during what was really only an evaluation. She created a plan for them and addressed things head on expecting only positive results, and that is what we got. Being afraid of everything, she worked with them desensitizing them to a few things and taught us how to continue the process. Right after we got them I had an unexpected hospital stay and when I came home the dogs were behind in their trust of me, she taught me some simple things to do during the day and after just a few days I saw a huge difference in their bond to me. The winter months caught up with us, but we still have much work ahead of us regarding, walking on a leash, becoming used to a variety of experiences and look forward to Lisa helping us through each step of the way. Working with Lisa has been a great experience and our dogs are "in love" with her! Lisa has been amazing at working with our German Shepard. We knew right away she was the right person for his training. She is personable, reliable and knowledgeable. Always returns calls, emails and texts with any issues and progress. She created a training plan that was individualized for Gunner and our family. Being dog owners for the first time in our 60's we felt we needed a lot of help! When we started working with Lisa we knew we found the perfect match. She evaluated our situation and went above and beyond helping us to train Bailey. She never rushes to get to the next client but spends as much time as needed even if it's over the hour appointment. Lisa went to the dog park with us to show us how to have the puppy interact with other dogs. She came to our home at our convenience to see how the puppy acted in his own environment. We now have a happy, trained puppy that everyone wants to be around! She's always a phone call away. The best! After the evaluation and my first class, I have noticed a huge difference in the dynamics with my dog and myself. Lisa has taught me how to be consistent, and how to bond. I am very pleased in the outcome so far! "Kind, patient and friendly. 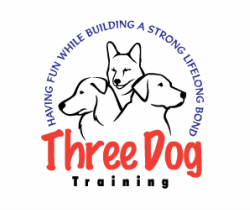 Lisa makes training dogs seem so easy with remarkable results!"